Having the best Kodi skins for Raspberry Pi can make a world of difference in terms of performance. The Raspberry Pi can be an excellent media center with a low energy consumption. However, it can be very slow without the best Raspberry Pi Kodi skins. 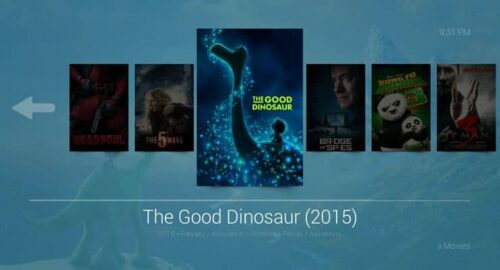 A while back, we showed you the 5 best XBMC skins for Raspberry Pi, but a lot has happened since then. New skins have been created and some performance improvements have been made to the Pi. This means it's time for a new list of the best Kodi skins for Raspberry Pi. Which Raspberry Pi Kodi skin is for me? Kodi Conq Skin, a modern look for your Kodi Raspberry Pi installation. Conq is a simple yet elegant skin that gives your Pi a modern look. It has a simple interface with little animation, so it's one of the best Raspberry Pi Kodi skins in terms of performance. The menu's are text based, with images only being shown for specific addons or media. Unfortunately, mouse support is not available for this skin. For more details check out this in-depth Conq skin review. Bello is perhaps the most beautiful skin in this list of the best Kodi skins for Raspberry Pi, and it's currently the skin I use with my Raspberry Pi 3 media center. Despite its look, the skin still runs very well on a Raspberry Pi, this is in part due to the static background image, which is vaguely reminiscent of an Apple computer. The interface is also very simple to use, so it's one of the best XBMC skins for Raspberry Pi if you plan on having guests over. 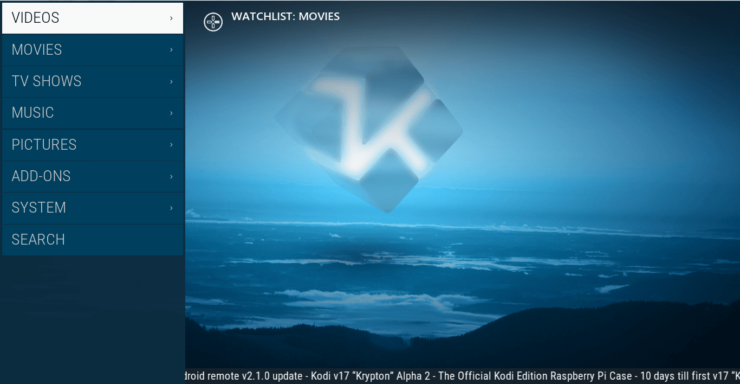 The features of skin are too many to go into detail here, but you can read about it in this Kodi skin review of Bello. Kodi Eminence Skin, a very customizable interface. If your into customization, then Eminence is one of the best Raspberry Pi Kodi skins you could get. The skin still works well without any customization, but you need to spend time setting it up to really get the most out of this skin. An interesting feature of Eminence is the ability to add addon shortcuts to the main menu. An example of this feature is the default YouTube shortcut, which takes you directly to the YouTube addon in one easy press. Interested in this skin? Check out this skin review of Eminence for more details. Kodi ReFocus Skin, simplicity and efficiency. Kodi Maximinimalism Skin, a complicated name for a simple interface. Maximinimalism is the most utilitarian of the best XBMC skins for Raspberry Pi. Although its name is a mouthful to say, its interface is very simple. The color palette is almost strictly black and white, and the main menu is restricted to a few icons. Although it can take some time to remember which icon is which option, the menu can be a breeze to use since there is very little on the screen to distract. On the downside, there are very little customization options, so for the most part you'll be stuck with its default appearance. For more details on this skin check out this full review of Maximinimalism. It's tough to decide which of the best Kodi skins for Raspberry Pi is right for you. Everyone has their own tastes in terms of look and feel, and their needs vary as well. I suggest trying all of the best Raspberry Pi Kodi skins listed above, and then pick your favorite. You can also adjust some features of most skins to suit your own needs, so don't be afraid to mess around with some of these settings when trying out new skins.